Multi-tenant SOA middleware for Microsoft Azure. CloudPlug is the ready-to-go cloud that lets you move your IT systems and applications from on-site into the cloud and share them instantly through a Web browser, whenever and wherever you need them. CloudPlug enables you to focus on delivering your solutions fast. 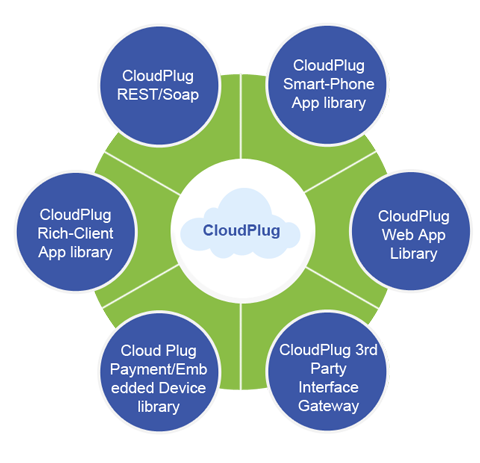 CloudPlug Interface modules or easy to use and ready to go. You can rapidly build and collaborate on fully-functional, multi-tiered environments on demand, in the cloud. CloudPlug-Service, has ready to use features such as Multi-Tenancy, Tenancy Data Isolation, Tenant Provisioning, Tenant Level customizability & configurability and SaaS metering. 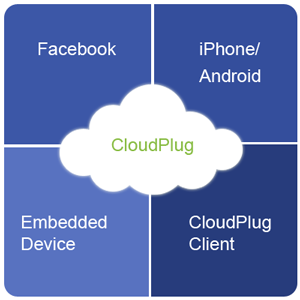 CloudPlug-Mobile is a ready to use mobile-module to plug-in Smartphone Apps (iOS, NFC/Android and Windows Phone) with CloudPlug® powered multi-tenanted service. CloudPlug-WebApp module is built upon MVC framework available in ASP.NET and PHP to run on Windows Azure. have a seamless connection with CloudPlug-Service.